neighboring B&B. ( too large a group to all stay at the Ashgrove). went back to Ireland again. 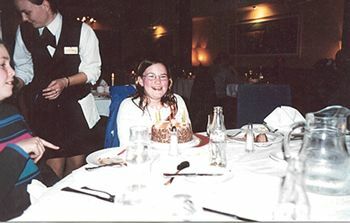 She ended up in the hospital in Galway. October of 2000. We were just amazed at the hospitality shown to us. Sheila and Frank at Ashgrove House B&B in Bunratty was wonderful. welcome you gave my sister and her husband, Lori and Clyde McCune. Breakfast! When we return, we will see you again. again. We all feel like Ireland is a magical place. Thank you both! wonderful host.We are happy to let others know of our experience at Ashgrove House! Hi Frank and Sheila! It’s been a whole year since we there in Ireland. and the guys talked Frank into driving them to the store for beer! HA. irish cream. Delicious! We will see you soon on our next trip. stay with you. Our stay with you was indeed the highlight of our trip. wonderful stories, and hearing Fergal sing for us was such a delight. Nancy, Joe and Larry were all asking for you both on our return home. breakfast could not have been more delicious and elegantly served. our stay. Now we’re dying to meet Sheila and Frank: maybe next year? didn’t have a car, driving us around Bunratty showing us things to do. accommodate us on on last day in Ireland. I have attached a photo. and Frank as well. Oh, and we loved our taxi driver, but didn’t catch her name. SheilaI just wanted to thank you again. Your hospitality was second to none. worked out wonderfully. We only had rain on the one Sunday. all we put 2000 kilometers on the van before we turned it back in. much! Please extend our regards to your daughter and her fiance. gone. We will recommend your home to anyone who is going to Limerick. us and the hospitality warmer!Thank you so much for making our trip “grand”!! October. You can see where we are at riverbend281.com. In closing, be on guard as we all are talking about a return trip. special folks.Take care and God bless you both. have the gift of hospitality! Thank you so very much! hope you and your family have a wonderful spring season. sometime today I will lift my glass to you.Many blessings !! our goodbye hugs in the kitchen, I can’t wait to do it all over again! out of their way to make us feel at home and I will never forget it. the southern part of our country.Be well, and thank you! to have our last night at your B&B. So, see next year! arrive was a nice treat. The room and bath were clean and well kept. unrivaled. Thanks again. Please send me that delicious Scones recipe. hospitality, great food and a comfortable stay. een keer naar Ierland gaan, overnachten we zeker in Ashgrove House. Thanks a lot for your wonderful hospitality. Always welcome in Belgium! enormously kind and from the beginning give you a real home-feeling. without staying with you at least onenight.Hope your trip to Barcelone was wonderful. 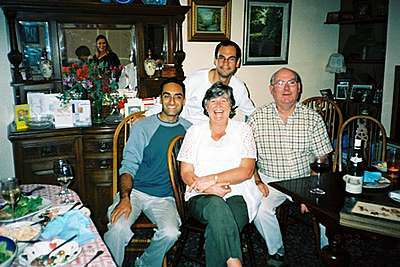 with Sheila and Frank if I was to travel to Shannon with my family. Thank you for you wonderful and endless hospitality and kindness. Hi Frank and Sheila, we arrived home safe and sound without a hitch. Pat’s roses. Hope you weren’t too tired for your trip the next day. helping me recover my left behind luggage, made our arrival so easy. been without you. We will never forget our time with you. “Frank and Sheila’s is so much nicer than a B & B.
Dear Mr. and Mrs. Tiernan,Thank you so much for your hospitality on Wednesday evening. in your parlor and later sitting in the sun in the back of your house. enjoyed the a-m-a-z-i-n-g, fabulous, and fascinating Ireland. The views are breathe taking, and the people and so nice. web site, so expect more Israelis at your door. for us, she made us the “king and queen” of the banquet. wave his hand at the crowd to ennoble them (so they’d be fit to eat with). you showed our party. You made us very glad that we picked your house. Ashgrove House site to our own website Wizardlinks.nl. like to wish you both a great time when this is happening. We hope you will enjoy it. Sheila, before you leave.We wish you a nice trip and a pleasant stay at Ashgrove House. Doe zo voort, de bezoekers houden daarom van jullie. vertrek nog een goede knuffel krijgt van Sheila. will go on-line to The Ireland Expert and make a recommendation there. memories of our trip. I am now the ‘goodwill ambassador’ for Ireland. European vacation to visit our daughter & son in law in Germany. arrived back at Ashgrove in time to get ready for another great night. Bunratty Folk Park) after the banquet with Shamus the fiddler player. you had a great trip to Austia with your kids. for my mother (81) two uncles (73 and 78), an aunt (65), and a cousin. return to Ashgrove House.We had to leave early the next morning to fly from Shannon to Atlanta. tired. We simply took a taxi to Ashgrove House, unannounced.We got to Ashgrove. departure. Also, shopping is across the road from Bunratty Castle. daughter-in-law’s Irish cousin from Limerick wanted to meet with her. You helped facilitate the meeting and provided us with family space. scan and send you soon.And oh yes, we’ve seen the cliffs, and we’ve seen the burren! in helping me solve my little “gravy all over the new sweater” problem! before we left for home! This is the only way to travel around Ireland. computer for checking our e-mail and allowing us to stay in close contact with home. family. Look after yourself and once again many thanks for everything. Kaitlin and Kyle) stayed at your lovely home (B&B) Ashgrove House. What a perfect beginning for our trip! We felt at home immediately. 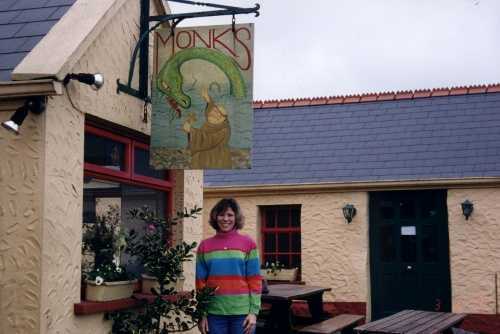 the food was delicious and you also make the best IRISH COFFEE in Ireland. every stop (and driving as well). Each place we visited confirmed that Ireland is a marvelous country. 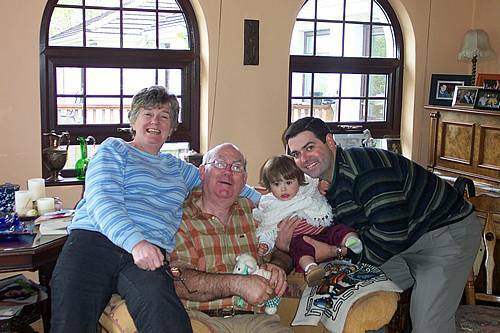 Sheila & Frank are the ideal hosts to begin your trip to Ireland. cousin, Finbarr Harte (on McSweeney Terrace in Kilkee) for us. arrived at 9am, you greeted us with an Irish Coffee! !What a grand way to start our vacation. memory! !How we loved seeing your smiling faces on the photos on the Internet. SOON to Ashgrove House & the beautiful Tiernans! !We love you! 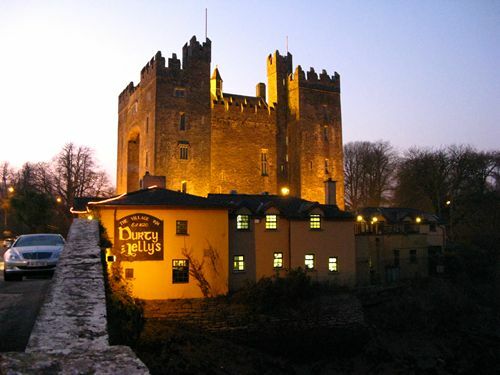 our stay at your home was, and our experience in Bunratty altogether. Dakota, USA, but also Bunratty Castle. favorite meal of the trip. in Ireland and remember our stay with you as a highlight of our trip. I left a part of my heart in Ireland and will not be the same until I return again. another trip.You are very gracious, kind people. Thank you, Thank you!!!! in Boston, Massachusetts, USA. At the time we worked for an airline. 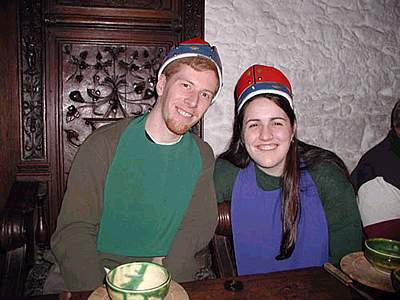 We had spent 3 nights in Scotland and then came to Bunratty for 2.
it took place in Ireland. I saw the green fields and my eyes began to water. 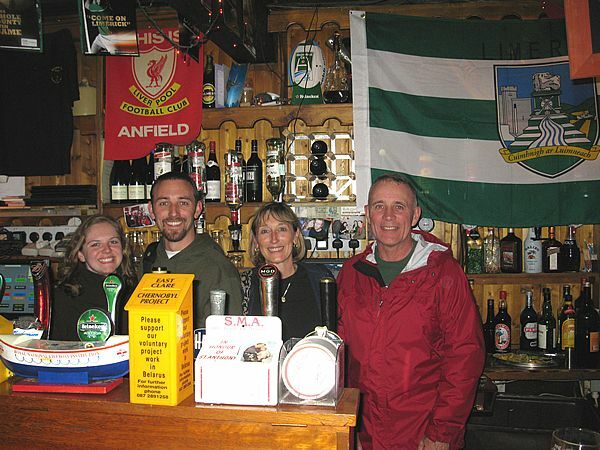 genuine hospitality the Irish are famous for, and made us feel right at home. home away from home when I am in Ireland. fall of 1996 when our little family band was trying to get home. arrival. Our room was beautiful, quiet, and very relaxing for us.